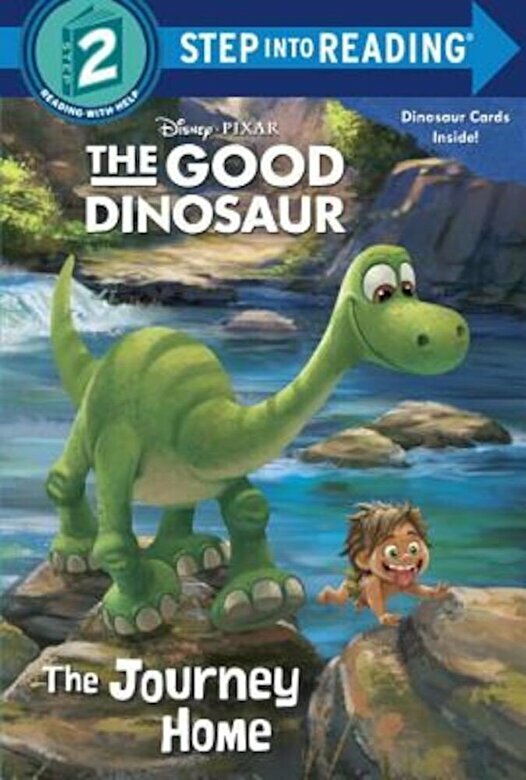 Prezentare Disney/Pixar The Good Dinosaur is a humorous and exciting original story about Arlo, a lively Apatosaurus with a big heart. After a traumatic event unsettles Arlo's family, he sets out on a remarkable journey, gaining an unlikely companion along the way--a human boy. This Step 2 Step into Reading leveled reader based on the film features collector cards and a shiny foil cover. It's perfect for children ages 4 to 6. Step 2 Readers use basic vocabulary and short sentences to tell simple stories. For children who recognize familiar words and can sound out new words with help.